In order for a character to be truly great they have to be ‘coloured’ in a way that speaks to who they are. The make-up and costume are critical elements for this, and sometimes their importance can be over looked. Many actors have said that the right costume and make-up help them to get into their role. 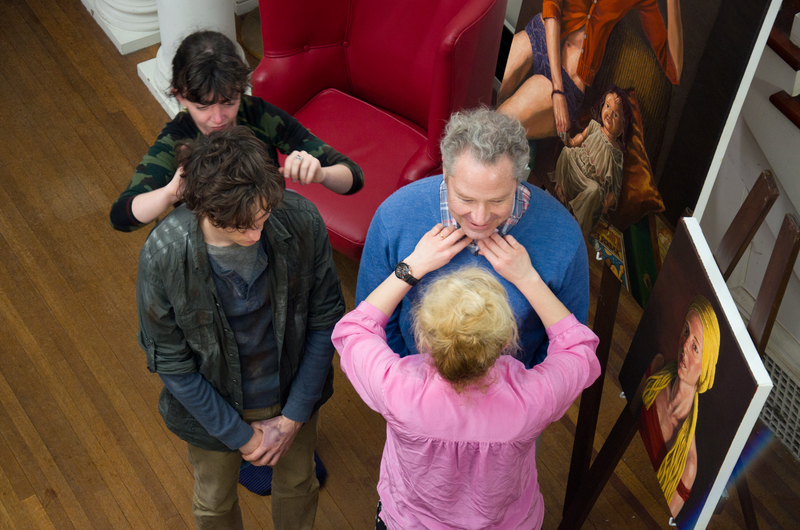 For Restoration there were a few interesting challenges in these departments – the period costuming, the sinister guy in the painting, and an artist covered in paint for parts of the film. Celeste, our make-up artist and Amber, our costume designer, give us some insights into creating characters looks.